Camachee Cove Yacht Harbor is situated on Camachee Island, just two miles from the historic district and minutes from Vilano Beach. 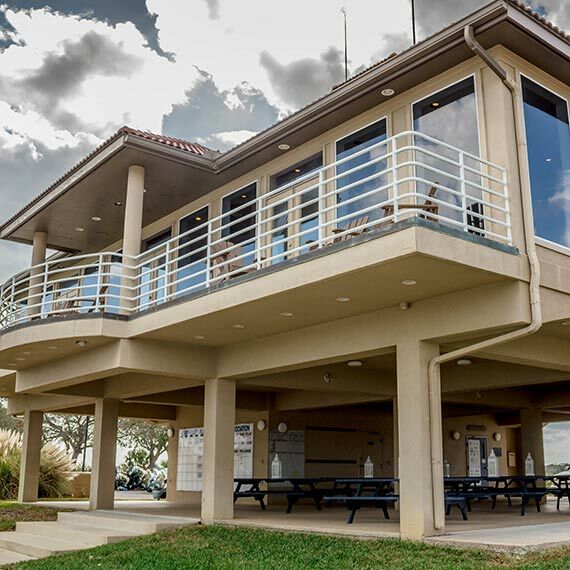 The Northeast Florida Marlin Club is nestled in this beautiful harbor offering breathtaking waterfront views. Downstairs features a dockside covered pavilion, picnic tables, and small bar area. Perfect for a cocktail reception, birthday party or corporate event. Upstairs features a spacious room with a spectacular view. The room opens onto a private balcony overlooking the harbor and intercoastal waterway. Large bar and open seating can accommodate up to 150 guests. This venue provides the versatility of your catering and refreshment desires. We have featured vendors who will exceed your expectations with a variety of menus, appealing presentations and attention to detail so you can relax and enjoy your special event.